Wood/plastic tension block included for tightening tent ropes. Type Pole Tent. Guy ropes and jump ropes are spliced in at each pole location. 100% waterproof, provides more light, blocks UV. 14 oz translucent vinyl (brighter in dark) top provides more light. 20' x 30' Party/Event/Wedding Tent, Carport or Canopy. TM ST2030WW Series is a top of the line heavy duty outdoor event tent, carport or. canopy and sidewalls, making this tent fabric waterproof. Includes FULL Set of Sidewalls w/Lattice Accented Windows. Sidewalls are constructed using 11 oz. 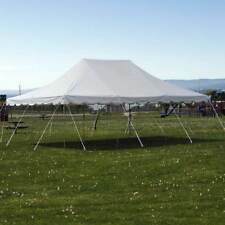 Includes Complete 20x30 Pole Tent, (1) Solid 7x20' Side,(1) Solid 7x30' Side, (1) Cathedral Window 7x20' Side, (1) Cathedral Window 7x30' Side, Storage bag, steel stakes, ropes, and set up instruction. 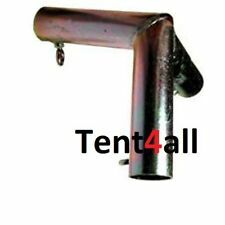 20x30 Heavy Duty Party Tent Canopy Cover (Top Cover Part Only) No Frame. 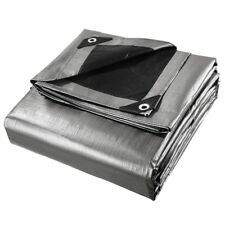 20x30 Heavy Duty Party Tent Tarp only. This is the top part of the tent only. We have them in many sizes. 20 X 30 Tent (shade) Canopy goes anywhere & sets up fast! The canopy you see on the image below is just a Model to show you will get this shape canopy, the other images of existing Canopies are just to show that there is other kinds that can be build to your needs. 1x PE Poly Tarp. Ideal for general cover tent fly, camping ground sheet, car covers, boat covers, machine covers, lumber covers, wind protectors, haystack cover, privacy walls, picnic mats and pool cover. The 20x30 white tent top is one of our most durable styles. Includes One tent top only. Note: This item does not include a tent. Bounce House. Bounce House Combo. Polyester sidewall rope fastened with polyester webbing. Provides quick and easy coverage for your next party or event. Guy ropes & lock system permanently attached to tent top with a D-ring sewn to top of tent. Center poles: 4 piece heavy duty galvanized steel, total 12 ft, 9 in tall. It covers 600 square feet to easily accommodate 50 to 120 people. The 16 oz block out vinyl top is waterproof and fire retardant. This tent is a popular choice due to the classic look, durability, wide open space with no center pole, and fewer parts/fittings. Block Out Top: 16 oz PVC coated vinyl top. Waterproof, weather resistant. Party Tents. Durability: Withstand setup/tear-down wear and tear throughout the years. Color White. Top 16 oz vinyl. Top Trends. COMPLETE canopy package! Comes with carrying bags! Detailed installation instructions are sewn into tent top storage bag. Bounce House. Bounce House Combo. Guy ropes and jump ropes are spliced in at each pole location. Side curtain rope line is replaceable if needed. Detailed installation instructions are sewn into tent top storage bag. Bounce House. Bounce House Combo. Guy ropes and jump ropes are spliced in at each pole location. 100% Waterproof, Fire Resistant, UV Treated, Tear Resistant, Mildew Resistant. Sidewalls Include: (1) 7' x 20' Solid, (1) 7' x 20' Cathedral Window, (1) 7' x 30' Solid and (1) 7' x 30' Cathedral Window Sidewalls. 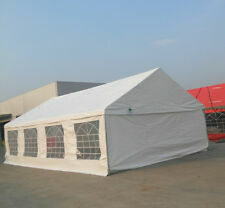 20 x 30 White Canopy Pole Tent With 4 Sidewalls. 11 oz translucent, vinyl sidewalls (PVC). Includes Complete Tent including Storage bag, steel stakes, ropes, and set up instruction. Wood tension block included for tightening tent ropes. ◢ Resistant to acid, fire, mildew, mold, tear, UV and water.